FRANKFURT -- Robert Bosch will disclose provisions in May for costs related to its involvement in Volkswagen Group's diesel-emissions scandal as the German supplier continues its probe into possible misconduct by employees. Bosch, the world’s largest car-parts maker, supplied control software for the 2.0- and 3.0-liter diesel engines at the heart of Volkswagen’s emissions-test cheating scandal, though its exact involvement remains unclear. Bosch reached an agreement in principle last month to largely resolve class action litigation at a U.S. federal court in San Francisco, but details won’t be disclosed until a definitive deal has been signed off by Judge Charles Breyer. The company said at the time that it neither acknowledged plaintiffs’ allegations nor accepted liability. Denner confirmed that details of the settlement are due to be presented to Breyer at the end of the month. The closely held manufacturer is set to outline the provisions when it publishes detailed full-year earnings figures on May 4. Bosch employees aren’t subject to travel restrictions, Denner said when asked about the arrest of a VW manager in Miami earlier this month. Apart from the civil claims, Bosch faces an investigation by U.S. prosecutors into possible criminal charges, people familiar with the matter said in September. Denner said investigations by U.S. authorities might drag on beyond the targeted settlement of civil claims at the end of this month. German prosecutors are also looking into whether Bosch employees helped VW rig software to cheat on emissions tests. A so-called statement of facts signed in January by the U.S. Department of Justice and VW as part of a $4.3 billion settlement on criminal charges doesn’t contain a reference to Bosch. The only supplier mentioned in the document, which includes an account of the criminal conduct at VW dating back as early as May 2006, is Berlin-based IAV, a company that is 50 percent owned by the German carmaker. 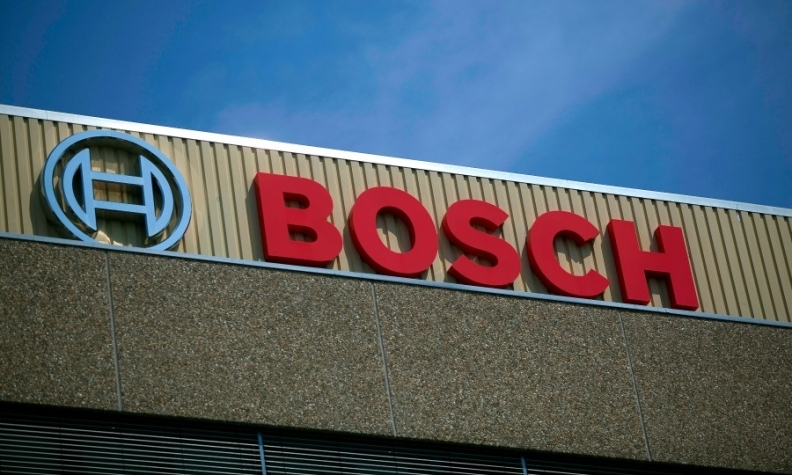 Bosch also supplied technology for Fiat Chrysler Automobiles vehicles that are subject to a separate U.S. probe into possible emissions-standards violations. Denner declined to comment on talks with Fiat Chrysler, citing ongoing investigations. Even as it wrestles with those probes, Bosch will keep up investments in strategically important projects including possible takeovers, the CEO said. It will spend 300 million euros ($321 million) by 2021 to expand work on artificial intelligence, Denner said.